The UK’s busiest airports are failing to provide adequate support for autistic travellers according to a new survey. With school holidays in full swing and millions of families travelling by plane this summer, the survey of the UK’s 30 busiest airports by sensory equipment specialists Experia, found that only one third offer sufficient autism-friendly facilities. Despite autism affecting an estimated 700,000 people in the UK, none of the airports had a designated quiet or sensory area for autistic travellers, and only seven (23 per cent) provided a specialised guidebook for autistic passengers. The research found that information is not always easily available for autistic passengers. Only 10 out of 30 airports (33 per cent) answered the phone the first time when contacted or had a section on their website dedicated to hidden disabilities such as autism. A disappointing nine airports (30 per cent) took longer than two working days to reply via email. According to the National Autistic Society (NAS) there are about 700,000 people in the UK living with autism and autistic travellers can often find air travel a difficult experience due to large crowds, noise, invasive security checks and disruption to familiar routines. Despite being a widespread condition, just 11 out of the 30 airports contacted (37 per cent) provided evidence of having worked with autism charities to improve the knowledge of their staff. Peter Saunders, Managing Director at Experia, said: “Whilst it is encouraging to see airports making progress with autism awareness and the support they offer, it is clear that more needs to be done to assist autistic passengers. The rights of air travellers with disabilities have been governed by European law since 2008 and although there has been significant progress to make airports more accessible for people with a physical disabilities, our research suggests that airports should do more for passengers with hidden disabilities such as autism. Jane Harris, Director of External Affairs at the National Autistic Society, said: “Autistic people can easily get overwhelmed by too much information in public places, and noisy, bustling airports can pose huge challenges. If you’re autistic, sounds such as flight announcements combined with the high pitched beeping from access vehicles and machinery can cause you extreme distress and pain. Many also struggle to cope in crowds and queues and with unexpected events like flight delays. Small changes like clear information available online and designated quiet spaces would help autistic people to manage their anxiety and their sensory sensitivities. Handling more than 75 million passengers, London Heathrow is the UK’s busiest airport and it is visited by an estimated 750,000* autistic travellers each year from around the world. However according to the survey, the services on offer for autistic travellers could be improved. The Heathrow website had only limited information, and staff on the Passenger with Restricted Mobility (PRM) desk were unable to provide full details of the support available when initially contacted by phone. According to the research, Manchester Airport has some of the most comprehensive services to support autistic flyers. The airport provides affected travellers and their guardians with an awareness pack that includes guidebooks and videos for each individual terminal. It also offers the passenger a wristband which discreetly alerts airport staff to the disability, allowing the person and their group to fast-track queues without drawing unwanted attention. London Stansted, the UK’s fourth busiest airport, proved the hardest to contact. Experia was unable to contact a member of staff via telephone, and the airport took more than seven days to reply by email. According to the research, 13 out of 30 airports (43%) did not immediately offer assistance to find a quieter area of the airport. In some cases, airports replied that they would offer assistance through check-in and then leave it to the relevant airline. 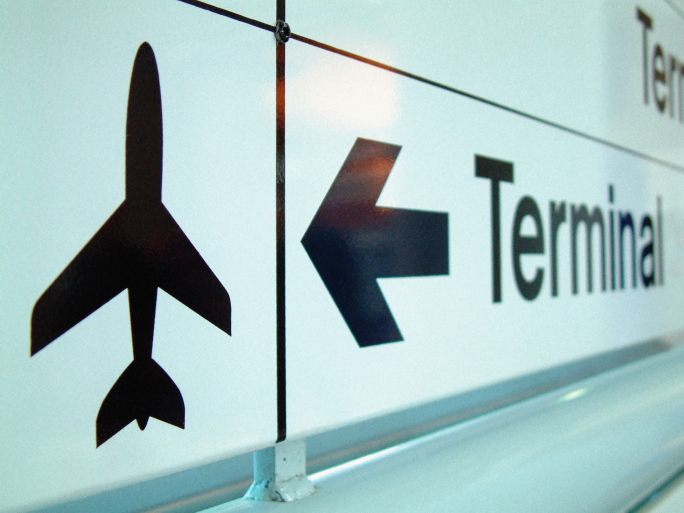 The research found that larger airports provided the most comprehensive services. However Liverpool Airport was notable for providing a dedicated section on their website, a guidebook for autistic passengers and an Autism Awareness voucher to enable a fast track through security. A number of airports worked with local or national charities to design autism friendly services and staff at a number of smaller airports such as Inverness and Belfast International had undergone specialist autism training. This research follows a comprehensive report into accessible air travel produced by the Civil Aviation Authority which rated the UK’s 30 busiest airports for disability provision. Ten airports were designated ‘Very Good’, seven were rated ‘Good’ and twelve were rated as ‘Taking Steps’. Only one airport Edinburgh received the lowest ‘poor’ rating. Yorkshire-based Experia www.experia-innovations.co.uk is one of the UK’s leading designers, manufacturers and installers of sensory equipment creating products to aid sensory development. The company regularly works with schools, hospitals and specialist care centres across the country to create multisensory environments. Be the first to comment on "Autistic travellers face lack of support at UK airports"